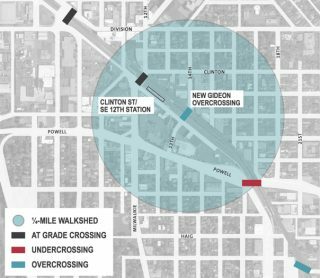 The post TriMet, PBOT say no further federal study needed on Gideon Overcrossing project appeared first on BikePortland.org. With the closure, Newberry has become a de facto carfree climb. That is, for those people who’ve ignored the closure signs and were willing to ride around the jersey barriers. Now things are about to change. 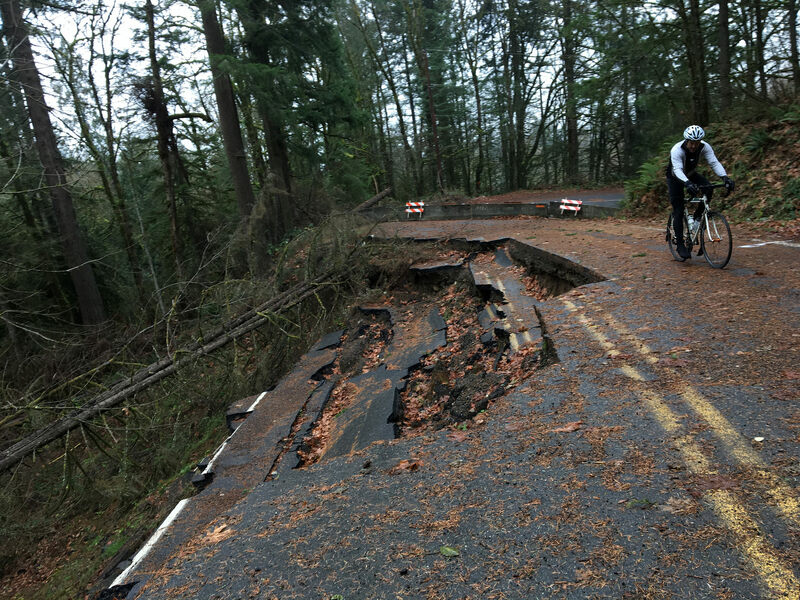 The County announced this week that construction is set to begin soon and the road will be fixed and reopened by spring 2019. According to the County, construction crews will start staging on the site in mid-January and will work Monday through Thursday from 7:00 am to 5:00 pm. Construction should be done by the end of March and final paving is planned for May. During the construction period, it would not be wise to attempt to ride Newberry. 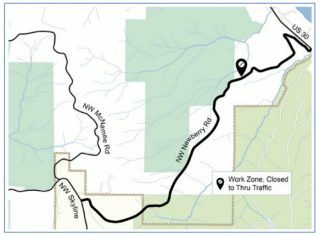 While many people have been riding through the closure up until now, with big trucks and workers on the site, we should now treat this like a hard closure. 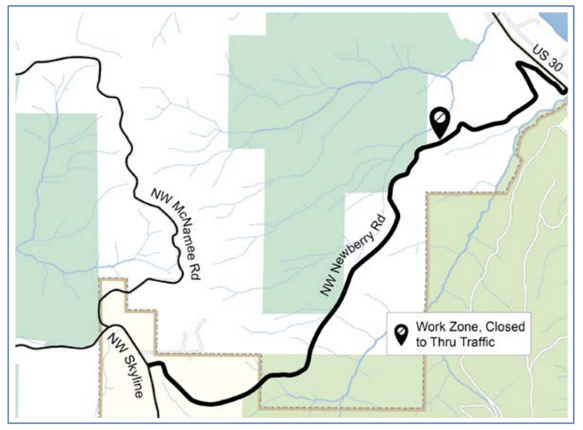 If you want to get up or down from the West Hills, I’d recommend NW McNamee Rd to the north and Germantown (which I never ride, and if I did it would only be on the weekends when there’s low traffic), Springville (very steep and unpaved! ), or Saltzman (unpaved) to the north. 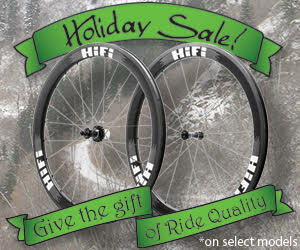 For more details, check the check the project website. 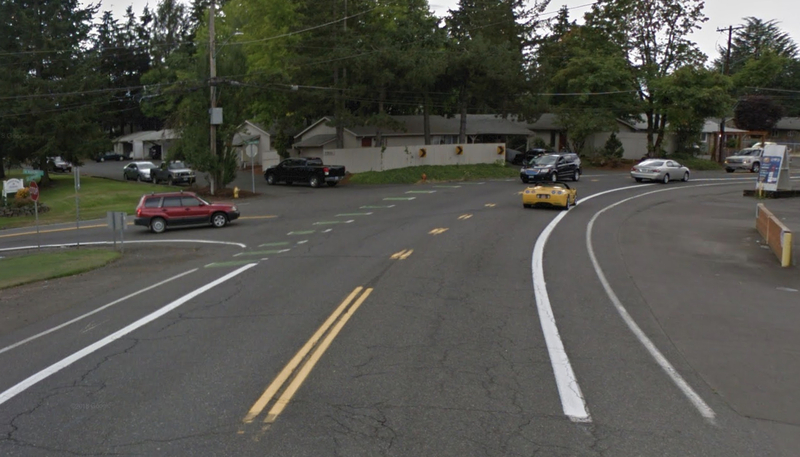 The post Construction begins next month on NW Newberry Rd appeared first on BikePortland.org. 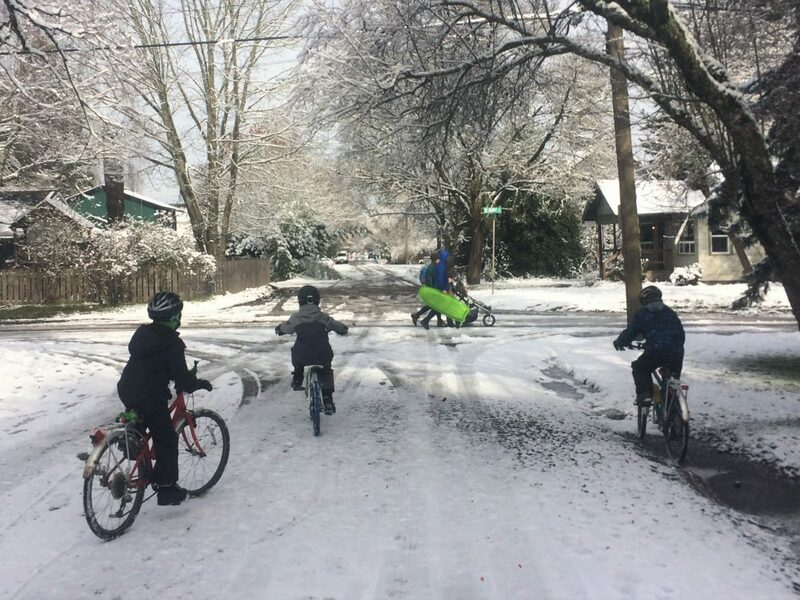 Now, after you’ve read through the comments on yesterday’s post and thought about this for a bit, head on over to the online survey and tell PBOT what you think. 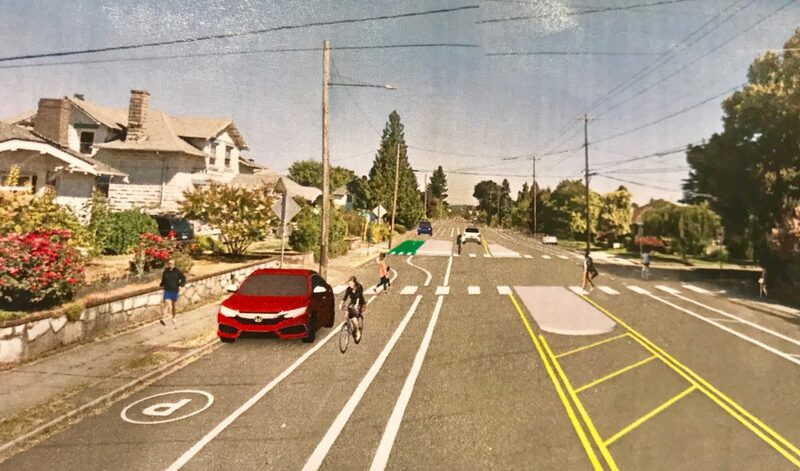 The post PBOT unveils new designs, online survey for SW Multnomah/Garden Home project appeared first on BikePortland.org. Early TriMet rendering of Gideon Overcrossing. 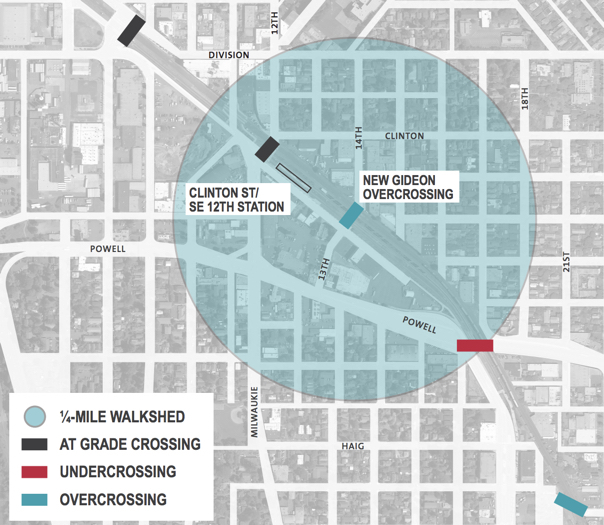 Neighborhood transportation advocates in southeast Portland are sounding the alarm about TriMet’s Gideon Overcrossing project. They say opposition from an adjacent business owner could shelve the project. 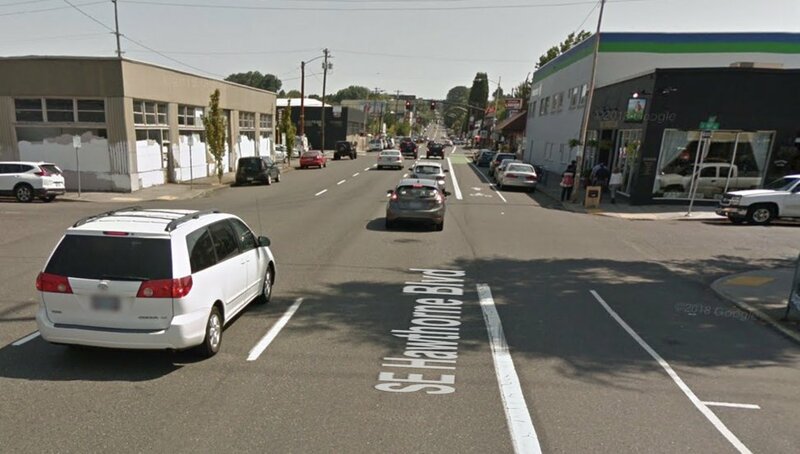 Michael Koerner, owner of Koerner Camera Systems on SE 14th and Taggart, hired a lawyer who sent a letter (PDF) to the regional head of the Federal Transit Administration on December 14th. The letter includes sharp criticisms of TriMet and the Portland Bureau of Transportation, questions the need of a bridge, and asks the FTA to require a Supplemental Environmental Impact Statement before moving forward. 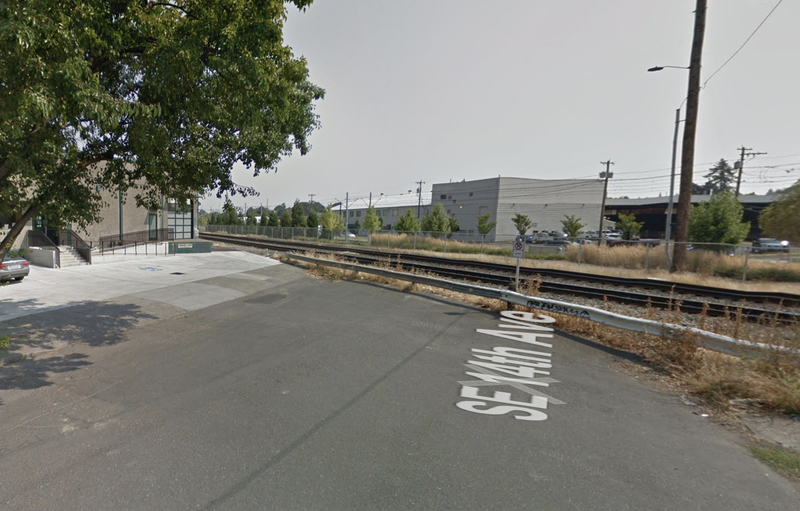 As we reported last June, this project would build a new crossing of the Orange Line MAX light rail and Union Pacific Railroad tracks near the busy Clinton Street transit station. 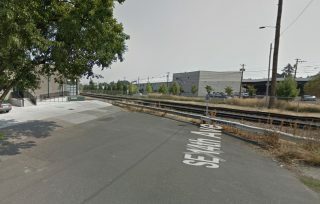 It would be a much-needed replacement to the crossing at SE 16th and Brooklyn Street TriMet demolished during Orange Line construction in 2013. 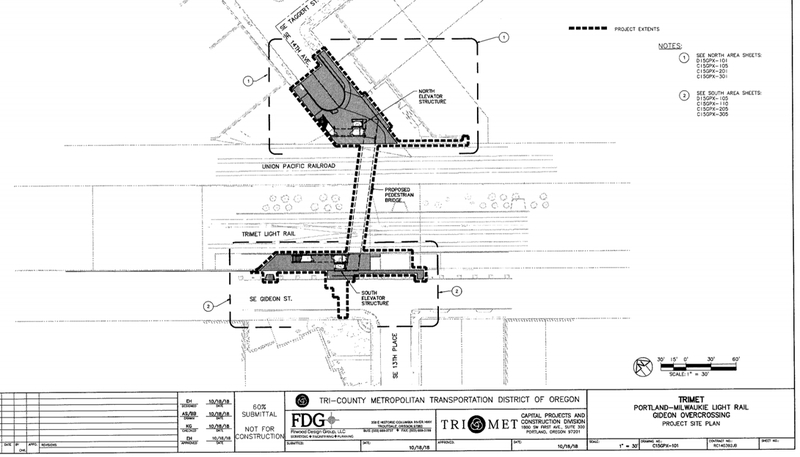 TriMet plan drawing. (Koerner’s business is where the words “North Elevator Structure” appear in the upper middle). TriMet began the design process this past spring and the new, $14 million bridge was supposed to start construction in the next few months. 14th Avenue looking south where the new elevator and stairway would land with Koerner Camera on the left. 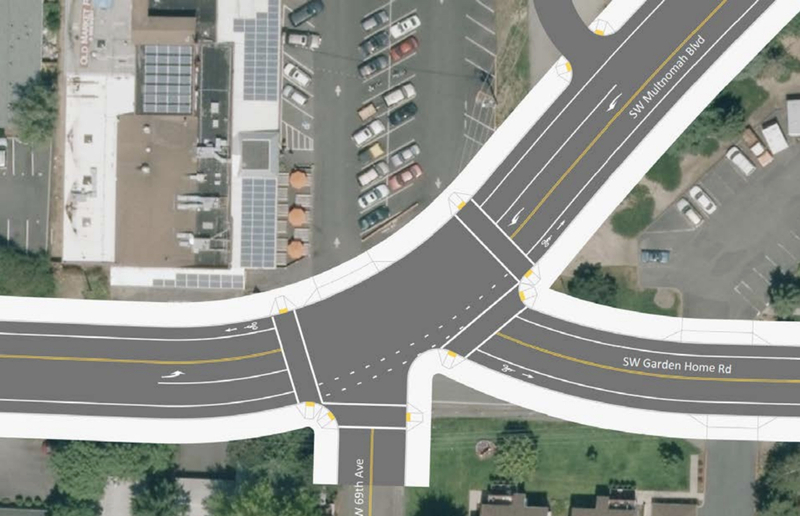 But Michael Koerner doesn’t want the bridge on 14th Avenue. His camera rental business that supplies high-end equipment to the film and TV industry is directly adjacent to the tracks. 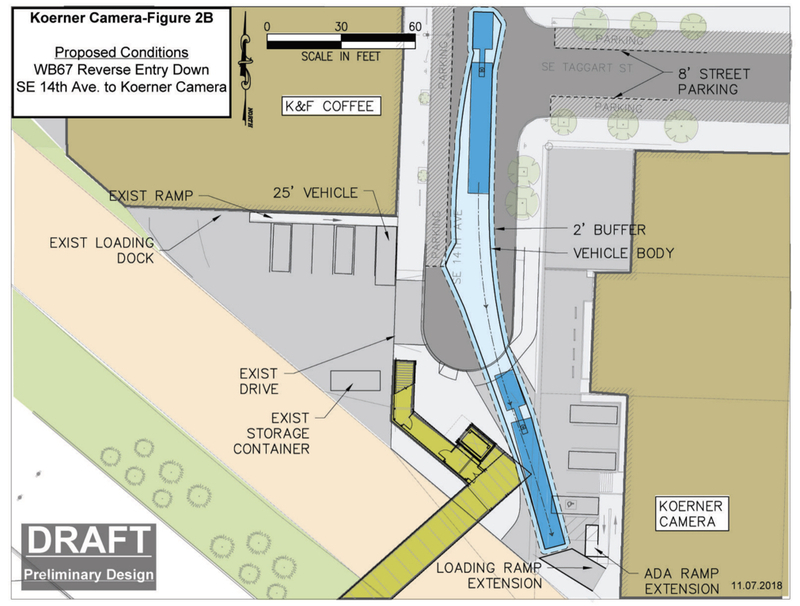 As designed, the bridge needs to use existing public right-of-way currently used to access Koerner’s parking lot and loading zone. Koerner said his concerns about safety and business impacts have fallen on deaf ears at TriMet so he hired a land-use attorney to fight the project. In a phone call this morning Koerner told me he doesn’t oppose the bridge project, he just doesn’t want it on 14th Avenue. 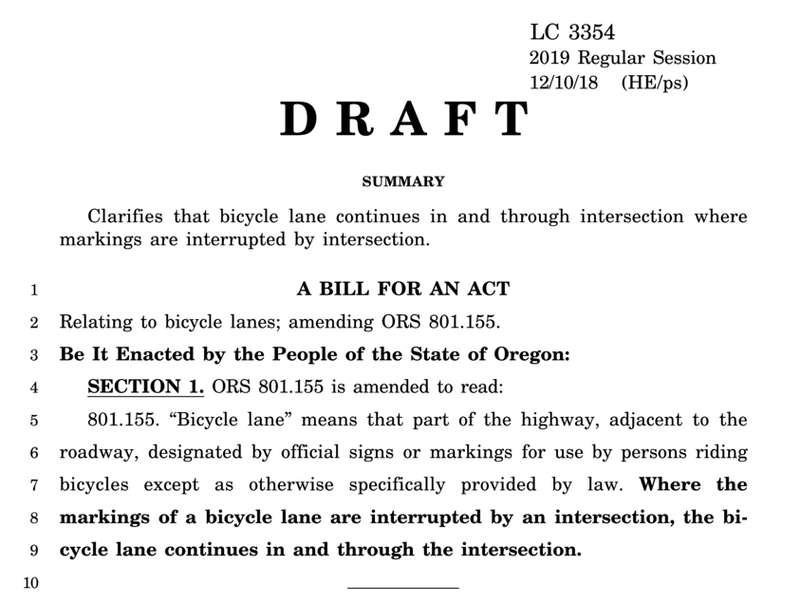 In addition to his concerns that mixing trucks and forklifts with bicycle riders and walkers would be a safety hazard, Koerner said, “It’s unfair to me. 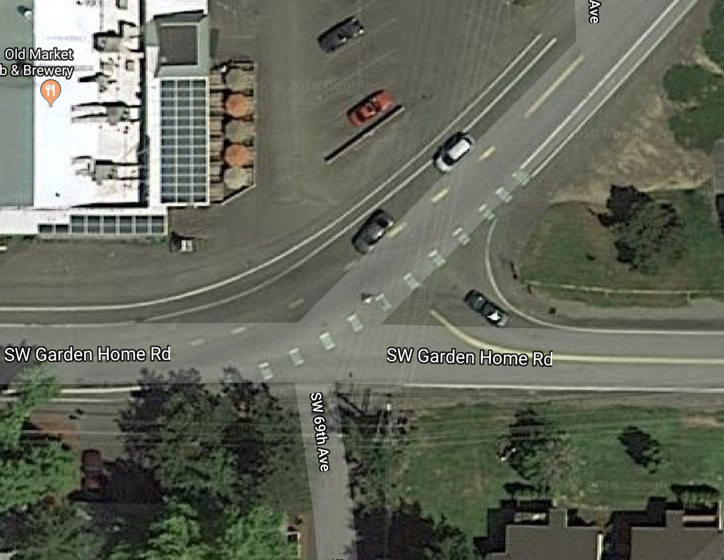 What it’s doing to my business would require me to move.” Koerner isn’t the only business owner opposed to the project. 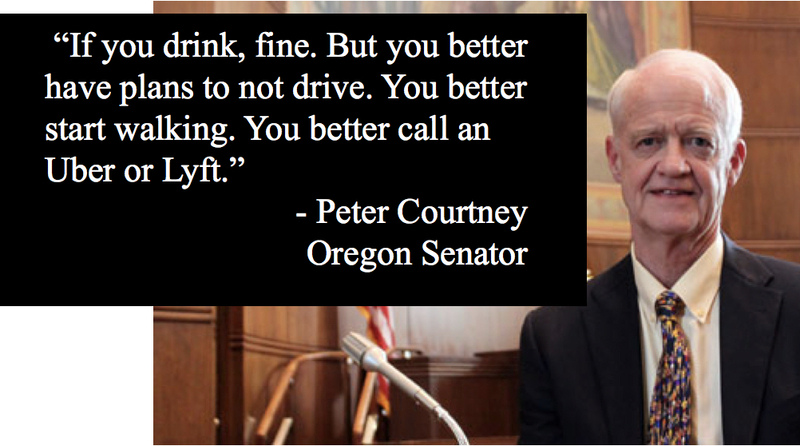 Several others share his concerns and are actively engaged against it. Koerner’s attorney Jennifer Bragar from the law firm of Tomasi Salyer Martin, wrote a letter on December 14th to the regional head of the FTA. 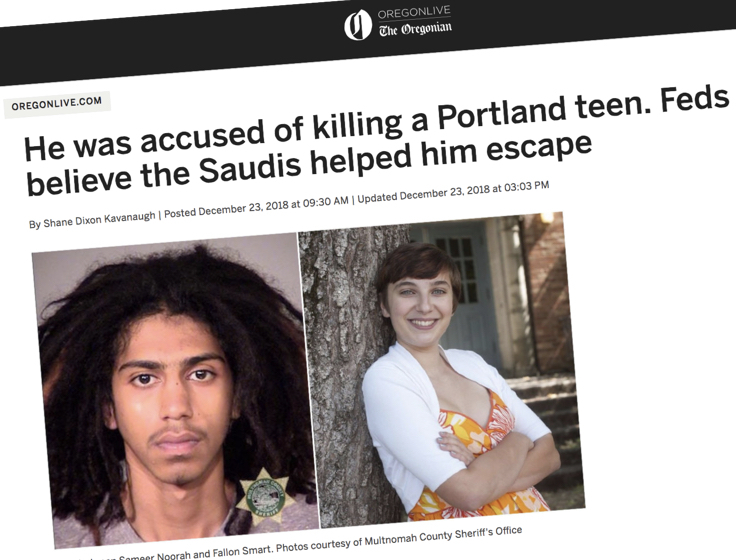 In the letter she requests a Supplemental Environmental Impact Statement (SEIS) and poke holes in the plan and the integrity of TriMet and the City of Portland. “I don’t think your planning is so far along that you could not consider an alternative,” Rep. Nosse continued, “And I think this would be an appropriate compromise.” According to Rep. Nosse, the planned alignment would make it difficult for these businesses to operate forklifts and access loading zones with large trucks. The alignment would also, “Potentially harm these very commuters your agencies are attempting to serve,” Rep. Nosse wrote. 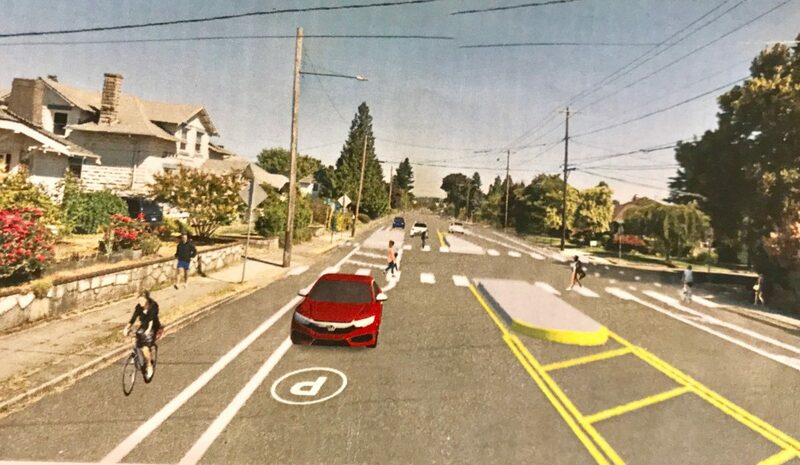 Altstadt said the bridge can’t be built at any other location because the FTA funding is tied directly to safety issues at SE 11th and 12th, where long UPRR delays cause some people to cross unsafely and even to walk across stopped train cars. 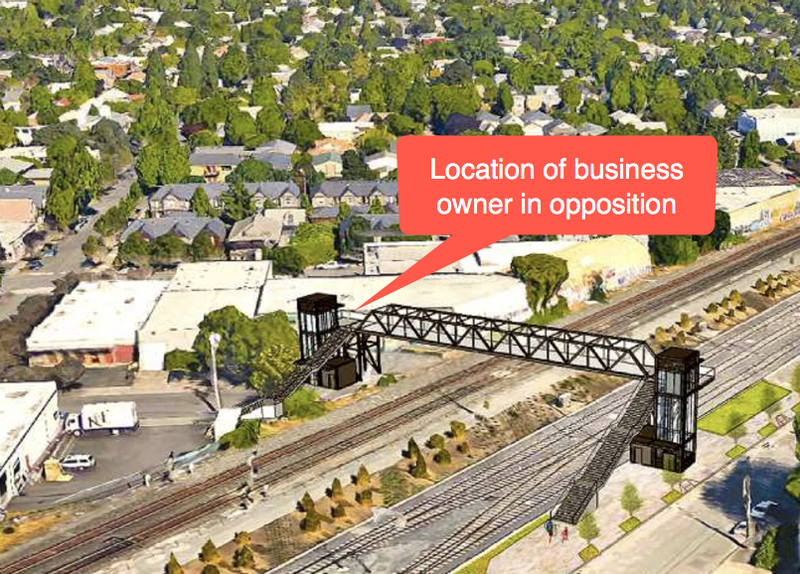 According to Altstadt, FTA guidelines stipulate that a bike/walk bridge must be located close enough to the original location of the safety hazard to “provide a convenient alternative.”Placing the bridge at 16th would not address the safety issue that is the basis for the FTA funding. The bridge at 16th would simply be too far away and require too much out of direction travel – particularly for pedestrians — to be a viable alternative,” Altstadt explained. 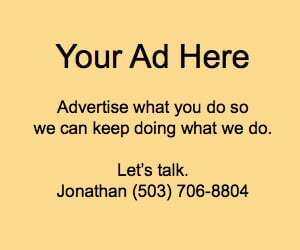 While TriMet sounds resolute, neighborhood advocates are worried Koerner’s opposition could put the entire project in jeopardy. Karabaic said putting the bridge further east at 16th would make it about one-quarter mile from the 11th/12th crossing. “This is a long distance for someone who has trouble walking or is in a wheelchair,” he wrote. 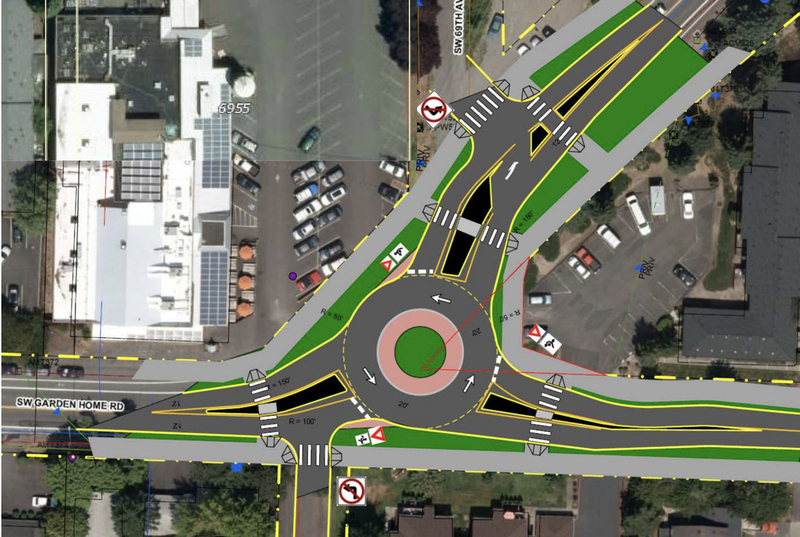 “It could make the difference in missing a bus or train.” Karabaic feels the proposed alignment is ideal because it lines up with an existing crossing of SE Powell Blvd used by a lot of people on bikes and on foot. Drawing from Koerner’s attorney showing layout of proposed bridge and access to his property. As for safety concerns, Karabaic says that claim is unfounded. 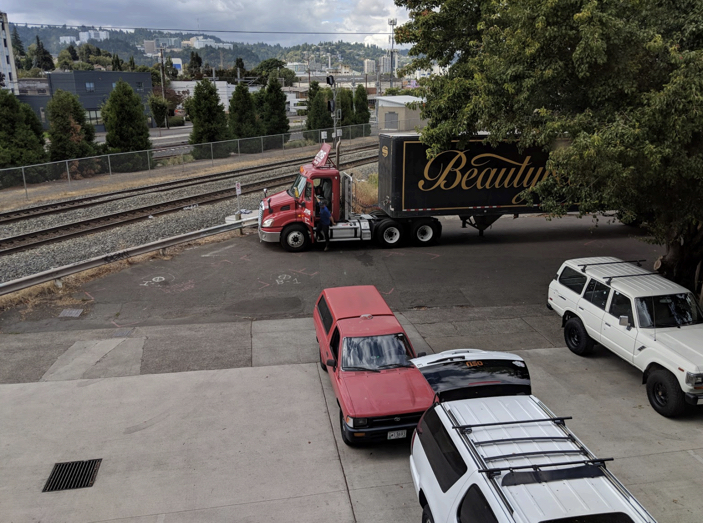 He cites the nearby Rhine-Lafayette overpass and streets in the Central Eastside Industrial District — both of which interface with industrial businesses while posing no major safety hazards (at least statistically and in terms of popularity) to vulnerable road users. 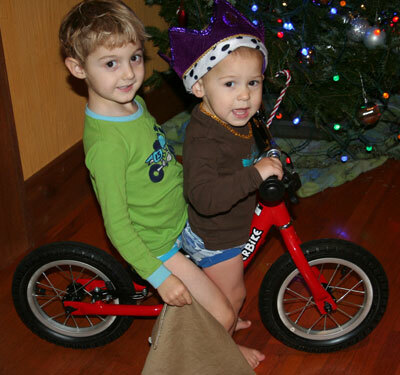 UPDATE, 12/21: Don’t miss the latest post on this story with response from TriMet and PBOT. The post Business owner uses attorney and electeds to fight TriMet’s Gideon Overcrossing project appeared first on BikePortland.org.